Steam Tower Slots | Claim a £500 First Deposit Bonus! Play the steampunk themed Steam Tower slots and save the princess from the evil dragon! 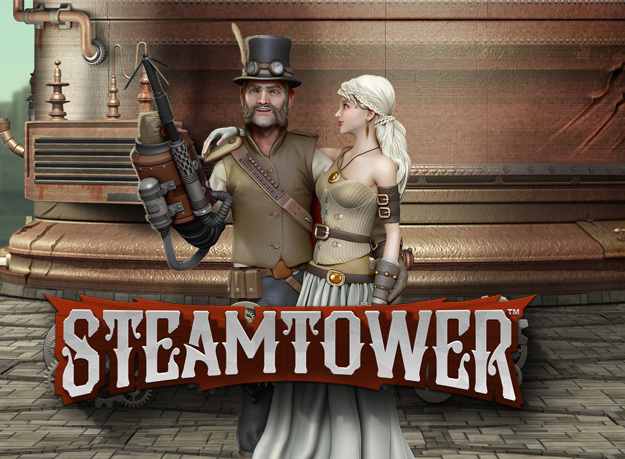 Climb the Steam Tower while collecting Free Spins and Multipliers! Play Steam Tower Slots to climb the tower and save the princess in this exciting Netent slot game! The design and graphics are spectacular with a steampunk theme based on Victorian era industrial design! The symbols include a mustachioed man, princess, Dragon’s eye, and steam-powered letter icons! You need to climb the tower to save the princess and win big! If a Stacked Wild appears to cover a reel you will be awarded with 10 FREE spins and ascend to the 1st floor. As you play, collect more Free spins and prizes as you climb the tower to the 16th floor, where you will get 1,000 coins multiplied by your bet level!